At the end of 2016 one of my former lovely clients & lovely model Mathilde booked another big session at my photostudio here in Antwerp. 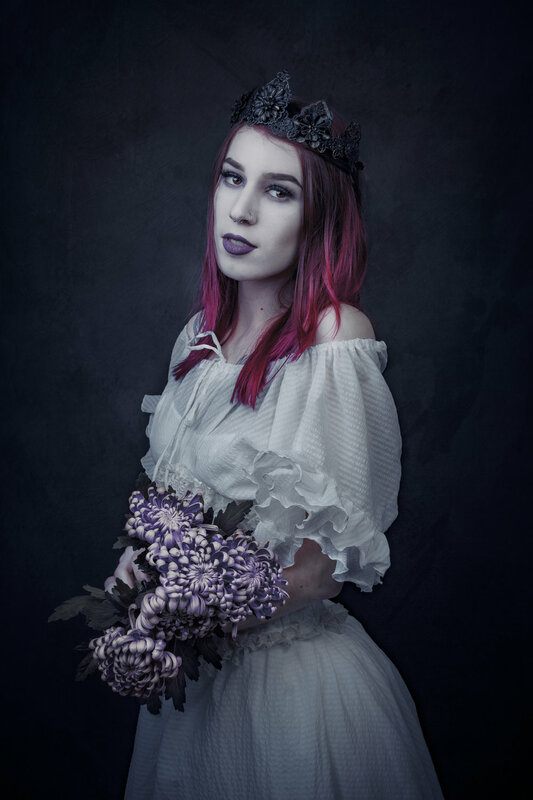 I was stoked to hear about her stories as she always wants to complete different concepts & that day was no exception: for her first set we shot two "flower fairytale" inspired sets and another set inspired on a dark, tribal story. She asked Kika Von Macabre again to be the make-up artist & she did an amazing job. The whole styling is provided by me. The crown in the flower set is by Pendulous Threads UK & the dress is a vintage. The "prop" headpiece in the tribal set is by Hysteria Machine & the antler piece is by Plussoyance Créations. Below are her choosen photos & a little teaser video from one of her sets.